18 Mar What’s Teaching English in South Korea like? 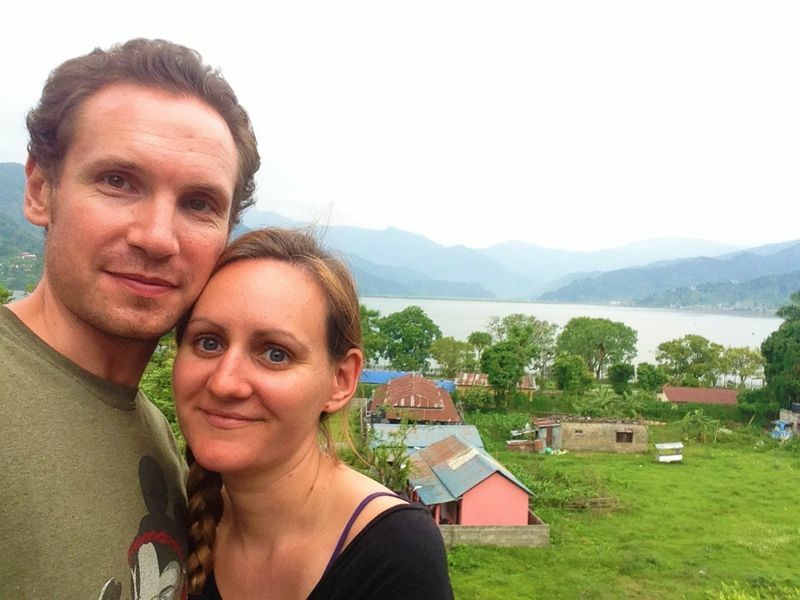 Choosing where to teach in Asia was tough and although Andrew and I ultimately decided to move to Vietnam, we seriously considered teaching English in South Korea. 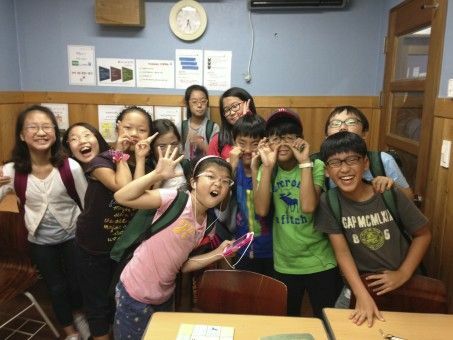 If you’re also tempted by the high salaries, free accommodation, flights and other benefits on offer in South Korea, read on to hear what English teacher Izzy has to say about her teaching experiences in Korea. Hi! My name is Izzy! I’m 25, from Boston, MA but originally from the Philippines. 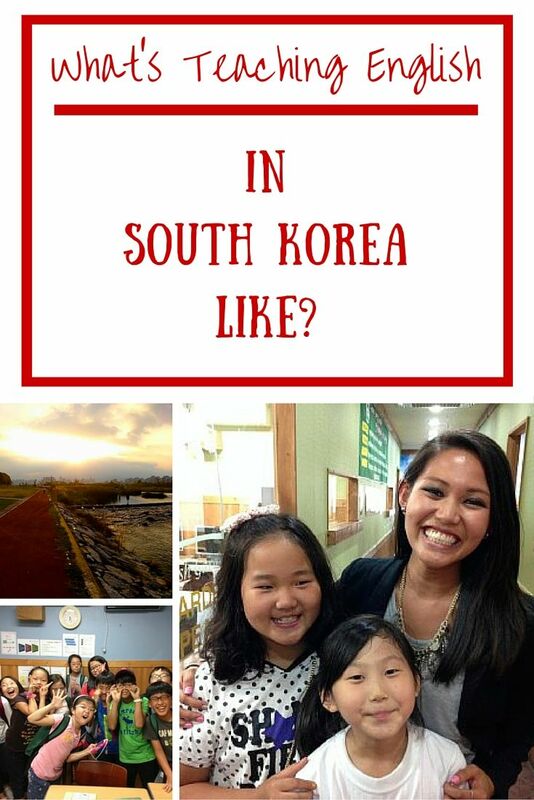 How long did you teach in South Korea? I taught in Korea for one year in Daejeon, the fifth-largest city and the transportation hub of Korea since its smack dab in the middle of the country. Why did you choose to move to South Korea to teach? I always wanted to teach English as a Second Language (ESL) after college and after reviewing the different benefits every teaching destination had to offer, it seemed as if South Korea was the most advantageous prospect. Some of the perks include a competitive salary, free housing (and sometimes even meals), and paid airfare. Also, a lot of schools don’t require prior teaching experience or even TEFL/TESOL qualifications. I did some volunteer teaching gigs while I was studying abroad in Thailand and Italy but I had never taught formally. I also didn’t have a TEFL certificate. Who did you work for and how did you find a teaching job in South Korea? I worked for English Garden Language School, a hagwon for gifted students. I found this school through a private recruiter called Teach ESL Korea. In Korea, you can either work at a public school or a hagwon. Hagwons, also known as academies, provide extracurricular academic instruction. They’re a huge industry in Korea. I taught English writing, speaking, and test preparation classes for TOEIC/TOEFL to students aged 7 to 15 (elementary to middle school). Per day, I taught for eight hours in the afternoon and sometimes was asked to do overtime. My weekly work hours ranged from 40 to 60 hours depending on if I had intensive classes or how much admin work needed to be done. It got really brutal at times. I don’t think I’ve been worked that hard in my life! 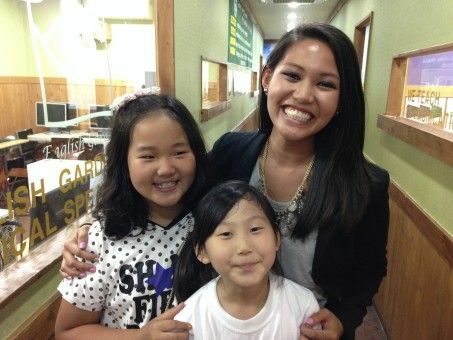 How much money did you earn each month from teaching in South Korea? I got a starting rate of 2,100,000 won (about $1,800) per month and it was paid on time monthly straight to my Korean bank account. Private lessons are not allowed and if you’re caught, there are serious consequences but a lot of people still do them. There are also holiday bonuses, great pensions for US/CN/AUS citizens, and severance pay. How much holiday allowance did you get and was it paid? Hagwons are known for giving a limited amount of paid vacation days. I got 10 vacation days and public holidays but no sick days. Most employers sponsor your visa if you sign a contract as a full-time teacher. It’s quite tedious getting the paperwork needed in order to secure a work visa and for a lot of nationalities, you have to get the documents in country. It took me about four months to secure all my documents. But it’s smooth sailing once your visa is issued. You do need to apply for an ARC (Alien Registration Card) once you arrive so ask your employers if they’ll cover the expense (it includes a costly $100 health check). But beware: employers own your visa so any misstep on your part could mean trouble. I really loved teaching in Korea. My students were the absolute best! They worked hard and were really eager to learn. I felt very lucky working at a well-regarded school because the learning standards were so high. Korean kids speak better English than most adults (probably due to the fact that they’re always in school). They were the ones who taught me the most about Korean culture and being around them was what made my time abroad so special. The only thing I hated about teaching was the work culture. Korean work culture is sadly very demanding and most employers tend to be highly unsympathetic so imagine having to go into work so sick you can barely stand and get through eight hours of teaching. Employees are worked like a dog! I could never complain because my Korean coworkers were more overworked than I was. It’s a very stressful work environment at hagwons. How did you get around in Korea? Public transportation in Korea is super organized and really easy to use. I took the bus and train everywhere! And once the weather warms up, you can bike everywhere, even to different cities. Taxis are pretty affordable as well. How much did your apartment cost? Housing is provided by the school so I only had to worry about utilities. That being said, you get what they give. My apartment was as small as a shoebox (no joke!) I could literally spread my arms and touch each wall. What were your typical monthly living costs like and did you save any money while living in South Korea? I only had to pay for personal expenses but amenities are not cheap in Korea. Electricity and water are no more than 20,000 to 30,000 won per month but once the winter comes around, it can spike up to 150,000 won depending on how much you use your heat. It’s pretty cheap to eat Korean food but everything else is pretty expensive. Surprisingly, fresh produce is astronomically costly so eating healthy becomes difficult unless you want to be poor. Shopping is comparable to that in the Western world and you do it a lot (even the guys)! A monthly gym membership costs around 50,000-70,000 won. A monthly phone bill costs around the same. In my first few months, I would ball out hard especially since the party culture is unlike any other I’ve experienced in the world but when I started saving, I saved $10,000 in five months which I used to finance a six month backpacking trip. You really can save easily in Korea if you want to. 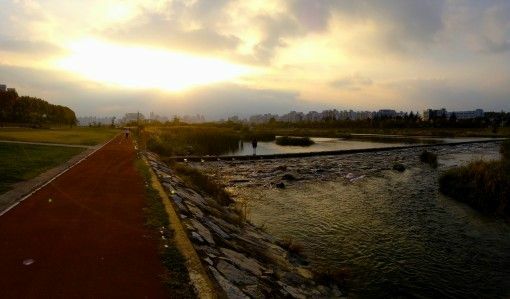 What were the best and worst things about teaching and living in South Korea? I loved teaching in Korea because my students were so bright and loving and the experiences with them helped me to really cultivate a teaching persona that I’m proud of. Also, I was able to save a ton of money in one year, which is a near impossibility nowadays in America. I also fell in love with Korean barbeque, makeup, and their stationery stores! The worst thing about living in South Korea was being in a culture obsessed with appearances. Sometimes, the superficiality of life around me would really bring me down. Also, I hated being tired all the time. I got sick a lot as a result of the stress and not having any free time, both physically and mentally. It was way too exhausting of a work atmosphere. What advice would you give people who are thinking about moving to Korea to teach? My advice is to not get stuck in the negativity. I noticed that a lot of people who teach English in South Korea end up becoming highly cynical, very critical, and sometimes even resentful of the culture. I’ll admit, I was one of those people. The best ways to ward off the negativity is to explore Korea in its entirety, find genuine people and build a support system with one another, and don’t nitpick at what’s wrong with the culture. It’s so hard to not want to compare and contrast but I think comparisons really feed into the negativity. In Korea, there’s so much to do and see! I barely saw anything in a year’s time and I really regret that. Just do everything and you’ll be happy! I’ve just relocated to Vietnam so hopefully I get a teaching gig in Ho Chi Minh City soon! I’m so excited to try out this new teaching destination with experience behind me, fingers crossed! 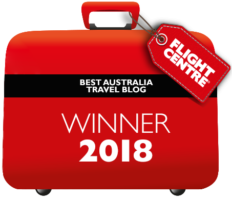 You can follow Izzy’s adventures over on her awesome blog The Next Somewhere. To find out more about teaching English around the world, including our experiences of teaching in Vietnam and Spain, check out our teaching abroad page. May I ask you more about your experience at your school in Daejeon? Hi Dennis, to get in touch with Izzy check out her blog thenextsomewhere.com. 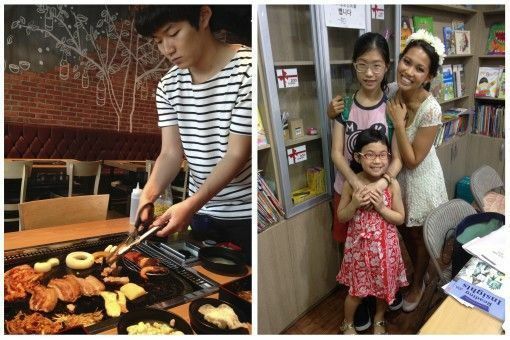 This post is just an interview with her about teaching in South Korea, she has much more info over at her site. Thanks for reading and commenting.